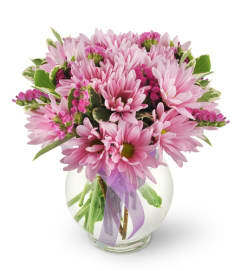 Surprise that special someone with this bold purple spring sensation. 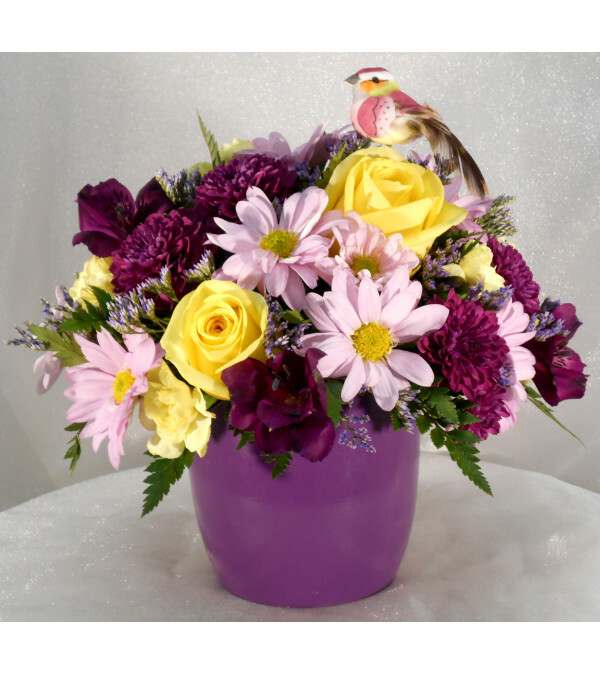 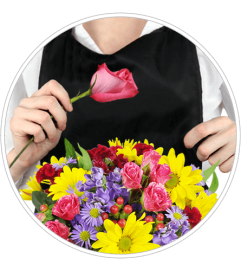 Purple alstroemaria, chrysanthemum buttons, mauve diasies and limonium are all accented with yellow mini carnations, roses and a bright and cheery bird sitting atop a lush mound of purples and yellows. All creatively designed in a striking purple ceramic container. 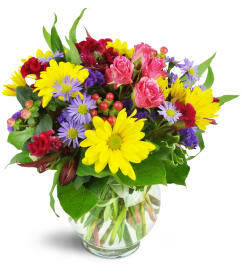 This stunning creation is truly a wonder for the senses and is sure to bring smiles to every gathering.